Take a unique look at history when you examine our collection of thimbles. These are no ordinary thimbles. Based on historical styles or inspired by elements of their specific time periods, our collectible thimbles are intriguing additions to displays and excellent ways to get to know the history of certain time periods. We offer medieval, Renaissance, Tudor, and Victorian thimbles as well as thimbles shaped like the helmets of their eras. 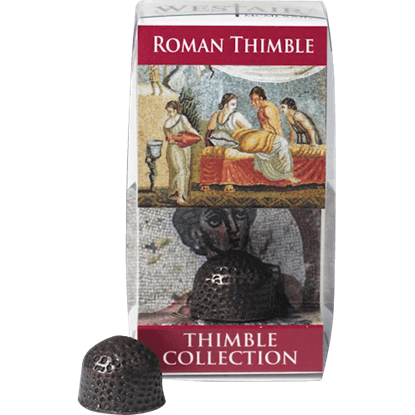 Our Roman Centurion Helmet Thimble and Greek Corinthian Helmet Thimble both make excellent collectibles for fans of those eras, and our Viking Coppergate Thimble blends traditional thimble shape with the shape of a Viking helm to create a unique piece. 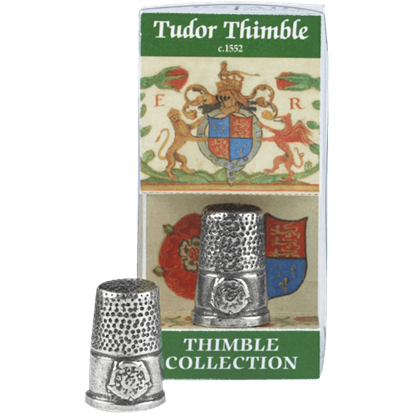 Whether you are just starting a collection or looking for the next piece, shop our historical thimbles here for pieces of history that stand out in their uniqueness and ingenuity. 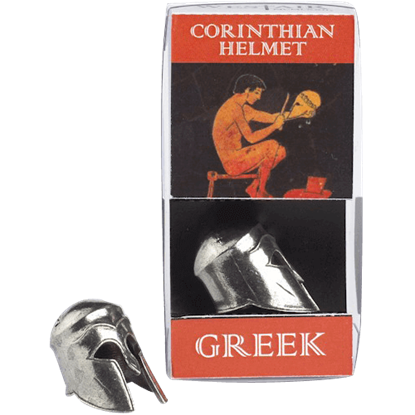 Now you can sew in style, your fingers safely protected from annoying pin-pricks by the authentic look of this Greek Corinthian Helmet Thimble. This thimble is supplied in an acetate box that contains information about the helmet. 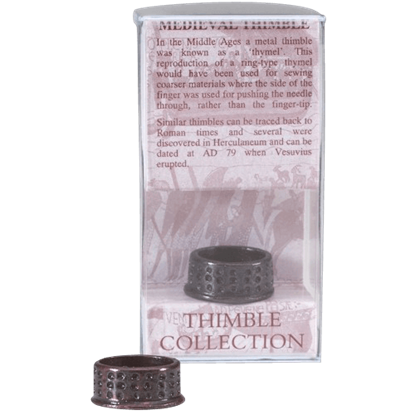 Thimbles have been around since the oldest of days, although this Medieval Thimble is not exactly the typical depiction of the thimble. This item comes in its own clear box, which also includes an interesting informational card. 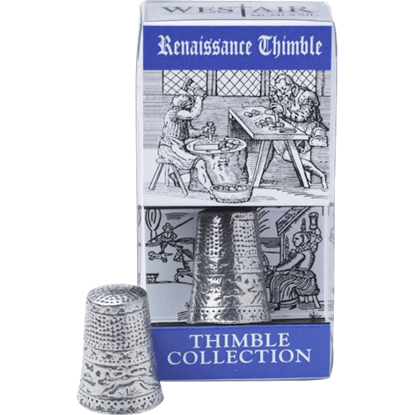 Even a thimble can be an impressive and decorative piece, as this Renaissance Thimble so easily demonstrates. This fine thimble comes in a clear box with an interesting card that offers tidbits of historical information. 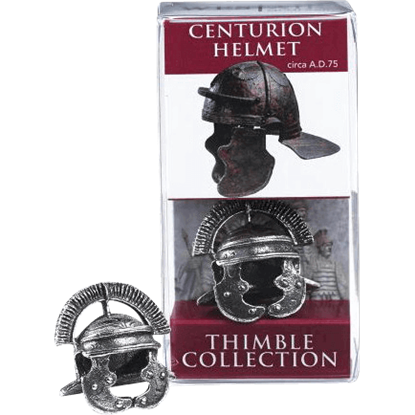 The Roman Centurion Helmet Thimble resembles an actual Roman helmet in miniature, offering its own protection to the wearer! This novel little thimble comes in a clear acetate box and includes a historical information card. Thimbles have long existed as a sewing accessory, used even during the time of the Roman Empire. Now you, too, can protect your fingers while wielding a needle with the help of this authentically designed Roman Thimble. Even something like a thimble can be personalized and decorative. One look at the Tudor Thimble proves that point. This sewing accessory comes in an acetate box with an information card that details Tudor-era thimbles and their designs. All kinds of items can be used to commemorate all types of events. 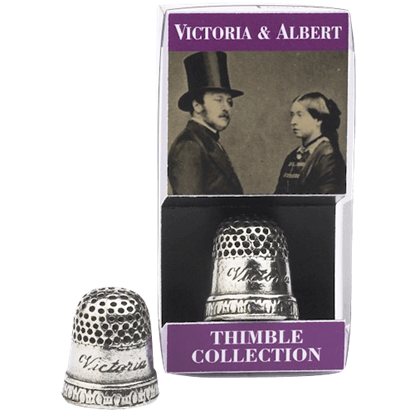 This Victorian Thimble is an item designed to celebrate Queen Victoria. The thimble comes in a clear box and includes an insert explaining the queens marriage. 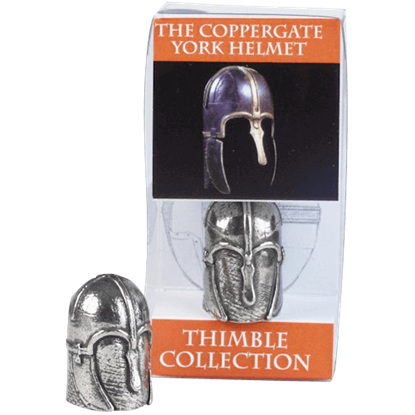 The Viking Coppergate Thimble is a miniature replica that is modeled after the helmet found in Coppergate, York, in 1982. This impressive replication comes contained in a clear box that also includes an informational card.